An expatriate is termed as non-resident, when his work-related stay in Singapore is less than 183 days. The tax for non-residents is different from that of local Singapore residents. Non-residents cannot apply for tax exemptions and reliefs, as a tax-resident person can. Non-residents are taxed on income derived from or accrued in Singapore. Income of a foreigner is exempt from tax, if he/she worked here for 60 days or less in a year. A foreigner who is in Singapore for 61 to 182 days in a year, will be taxed on all income earned in Singapore at 15% or the progressive resident rate, whichever gives rise to a higher tax amount. Tax exemption does not apply to the director of a company, a public entertainer, or professionals such as foreign speakers, queen’s counsels, foreign experts, consultants, trainers, coaches etc. 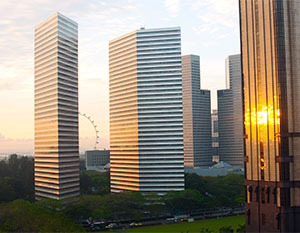 Director’s income, in the form of salary, bonus, fees, and accommodation, derived from a resident company in Singapore, is taxable in Singapore. Taxable income refers to both cash and non-cash payments provided to the director. In this case, the employer will withhold tax at source at the rate of 20% for all the payments made to the director. On the other hand, if a Singapore employee undergoes frequent business trips, and spends less than 183 days in Singapore; even then, he/she will be taxed as a tax-resident. However, if a Singaporean is posted on an offshore project for several months, because of which he/she spends less than 183 days in Singapore, then he/she will be taxed as a non-resident. Briefly, if you are visiting Singapore for short stints, then you are going to be taxed based on your duration of stay here. It is always good to be well versed with the taxation rules of a new place, especially if you are going there for the first time.